Wow, Disney really got it. This week, to the delight of mousegeeks everywhere (well, in selected markets anyway), Disney's pay-for-play fan community D23 announced its first summer lineup of events, and it's a knockout. 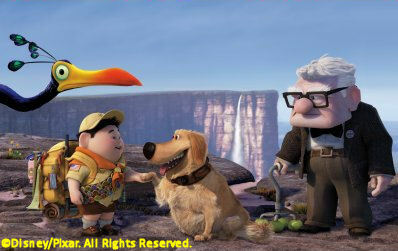 (Los Angeles, CA) -- Theatergoers across the country will soon meet the unlikely duo of 78-year-old Carl Fredricksen and 8-year-old Wilderness Explorer Russell in Disney•Pixar’s latest adventure, Up. D23 Members will be among the first to see the film at this free event at the historic El Capitan Theatre in Los Angeles on May 28, 2009. The fun begins with a special pin trading event, followed by an all new Disney stage show and a screening of the new Disney-Pixar short Partly Cloudy and the highly anticipated and critically acclaimed Up! And it wouldn’t be a D23 event without a few other special surprises and guests! (Orlando, FL) – Join D23 at Epcot at the Walt Disney World Resort to celebrate its members in all 50 states and more than 25 countries worldwide! Start the evening at the American Gardens Theatre with reserved seating for the Flower Power Concert Series Finale, starring the legendary Tony Orlando, to close the Epcot International Flower & Garden Festival. Next, head to a VIP location to mix and mingle with your fellow D23 members over desserts and coffee, and then enjoy the spectacular nighttime extravaganza IllumiNations: Reflections of Earth from a private viewing area. (New York, NY) -- Disney’s award-winning musical Mary Poppins recently celebrated its 1,000th performance on Broadway and on June 24, 2009, D23 Members are being offered the opportunity to meet one another and share in the magic with premium seats, merchandise discounts and an opportunity to stay after the show for a special “behind-the-scenes” experience at the historic New Amsterdam Theatre in New York City. D23 Members also will receive the recently released 2-Disc Mary Poppins 45th Anniversary Special Edition DVD, courtesy of our friends at Walt Disney Studios Home Entertainment. (Chicago, IL) -- Mary Poppins blew into the Windy City on March 25, 2009 and original Broadway stars Ashley Brown and Gavin Lee have been delighting audiences at the Cadillac Palace Theatre ever since. On June 24, 2009, D23 Members will have the chance to experience the “practically perfect” Mary Poppins like never before, with premium seats, merchandise discounts, complimentary souvenir program and a once-in-a-lifetime “behind-the-scenes” experience. D23 Members also will receive the recently released 2-Disc Mary Poppins 45th Anniversary Special Edition DVD, courtesy of our friends at Walt Disney Studios Home Entertainment. (Las Vegas, NV) -- After entertaining more than 45 million guests in theatres around the world, Simba and Nala have roared their way onto the world famous Las Vegas Strip. 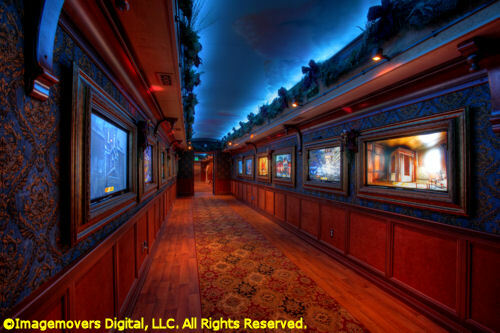 On June 27, 2009, D23 will host a special night at the Mandalay Bay Resort in Las Vegas, with premium seating for The Lion King, a “behind-the-scenes” experience and more, available exclusively to D23 Members. (Burbank, CA) -- A rare opportunity for D23 Members to enjoy a 2-hour tour of The Walt Disney Studios and Walt Disney Archives, hosted by D23 and Disney Archives staff. Only two dates are available for the Summer 2009 Calendar and space is limited. (Anaheim, CA) -- Celebrate Disneyland’s 54th Anniversary with a special screening of Walt Disney’s recently restored 1956 “People and Places” featurette Disneyland, U.S.A., as well as a panel discussion including Imagineer Tony Baxter, Disney Legend and Chief Archivist Dave Smith, and Disney Studios Film Archivist Ed Hobelman. 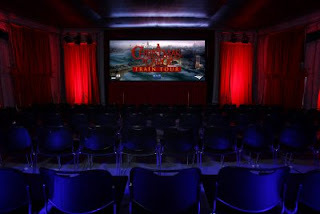 The event will take place at Disneyland’s Team Disney Anaheim Theater and will be followed by a D23 Member reception. 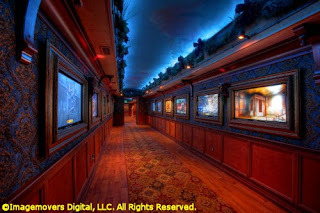 (San Francisco, CA) – Prior to its October 2009 Grand Opening, D23 members will have the opportunity to experience The Walt Disney Family Museum, celebrating the life and achievements of the man who raised animation to an art, transformed the film industry, tirelessly pursued innovation, and created a global and distinctly American legacy. This special preview will be hosted by the Museum’s Executive Director Richard Benefield. Dates and details will be available soon. What impresses me the most is that of the eight events listed, five of them are free to D23 members. So, to the naysayers who didn't see the value of membership when D23 launched in March, guess what? Looks like you can get more than a magazine after all. There's a diversity and exclusivity to the event schedule that appeals to both present day pop enthusiasts and armchair Disney historians--it's like Disney knows us, go figure. I can't wait to see what's coming next. Oh, and I've already marked my calendar for the Lion King and Walt Disney Family Museum events. Maybe I'll see you there. For a man whose artistry requires the methodical and laborious arrangement of miniature figures and props, Henry Selick is awfully fidgety. He shifts from side to side, standing or sitting. When he talks, his hands and arms are in constant motion and he rarely makes eye contact. Maybe he just doesn't like interviews. Or, maybe he's just channelling the restless energy that's made him one of the finest directors of animated films in Hollywood. Selick was in Las Vegas recently at the National Association of Broadcasters convention for a showcase and discussion of his work. Attendees were treated to clips from the classic "The Nightmare Before Christmas," "James and the Giant Peach," and Selick's latest animated success "Coraline." In an animation industry where movies can be created entirely within the confines of high-tech computers, Selick is content to work in a medium that's been around almost as long as motion pictures themselves. Stop-motion animation, the intricate manipulation of characters and sets one frame of film at a time, is known to have existed as early as 1898. Like many filmmakers of his generation, Selick idolizes Ray Harryhausen, the stop-motion animation master known for the sword fighting skeletons and towering cyclopes of such films as "The 7th Voyage of Sinbad" and "Jason and the Argonauts." At an early age, Selick was fascinated that "these living nightmares were just small, posable puppets made of steel and rubber." In the mid-70s, Selick attended CalArts with such future film luminaries as Tim Burton, John Lasseter, Brad Bird and Joe Ranft. He eventually landed at Disney, where he trained under "Old Man" Eric Larson and later worked with Glen Keane as an animator on 1981's "The Fox and the Hound." Selick worked on various independent projects, but always kept his hand in stop-motion animation. 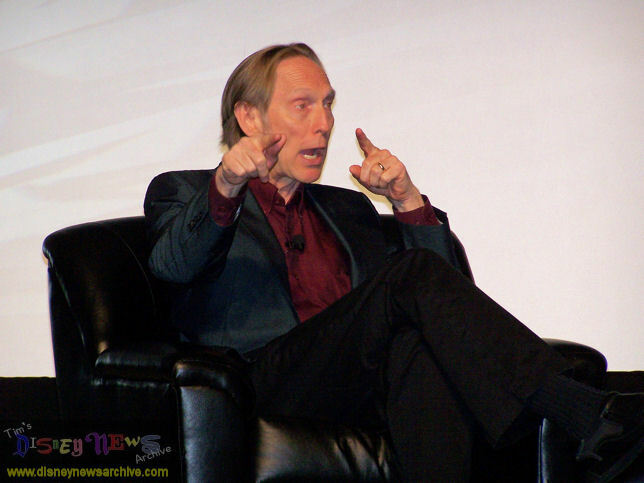 In the 1980s he created station identifiers for MTV and directed a handful of Pillsbury Doughboy commercials. 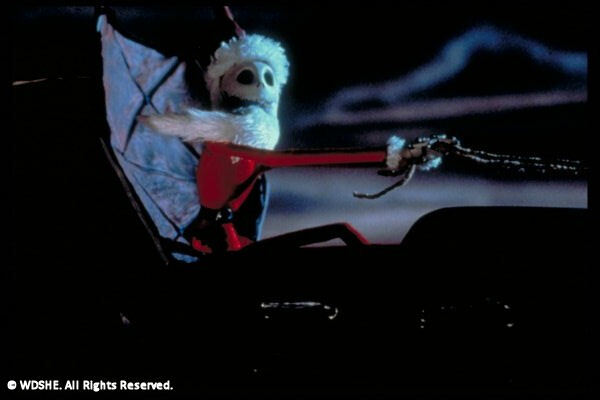 Selick's breakthrough came when Tim Burton asked him to direct 1993's "The Nightmare Before Christmas," the first stop-motion animated film produced by a major studio. Almost everything that ended up on screen was created in camera. As Selick puts it, they used "ancient technology with just of couple of new-school things." Those new-school elements included fire and fog effects and Jack Skellington's loyal ghost dog Zero. "Nightmare's" darkly humorous world and inventive animation proved very popular with audiences and its popularity has only increased in recent years with its annual 3D holiday release in theaters. While Selick himself didn't work on the 3D conversion of "Nightmare," the format has always interested him. 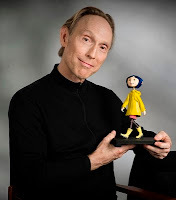 As digital motion picture technology has continued to advance, Selick's decision to make "Coraline" (released earlier this year) in 3D seemed obvious. His intent was to use 3D to add depth and detail to the viewing experience. "We never wanted to use it as a gimmick," he says. "There are only like four poke-your-eye-out moments. I mean, honestly, that works great, but 'Coraline' is really the story of a girl distracted by a version of her life." Not letting the visuals get in the way of the story immediately hearkens back to Selick's former classmates at CalArts, who know a thing or two about animated films. 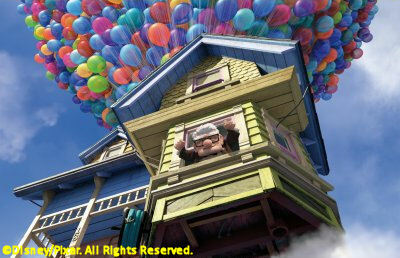 Selick is continually impressed with Pixar and gives high praise to their upcoming release "Up," which will open the Cannes Film Festival on May 13th before being released nationwide in the U.S. on May 29th. Having seen portions of it, Selick feels "Up" has a story that goes to new territory, much like "Wall*E" did. "It's a powerful film of life and death and dreams," he says, "and I don't think anyone else (besides Pixar) can get away with it." Selick is not so enamored with Pixar, however, that he's ready to jump entirely into the world of CG animation. While CG effects were used throughout "Coraline" to smooth out motion and facial expressions, it was still hands-on manipulation that brought everything to life. "CG can do everything better than stop motion," he says, "except be an absolutely real thing." "Sometimes people want things that are handmade." According to Selick, "Coraline" will be released on DVD some time in July.